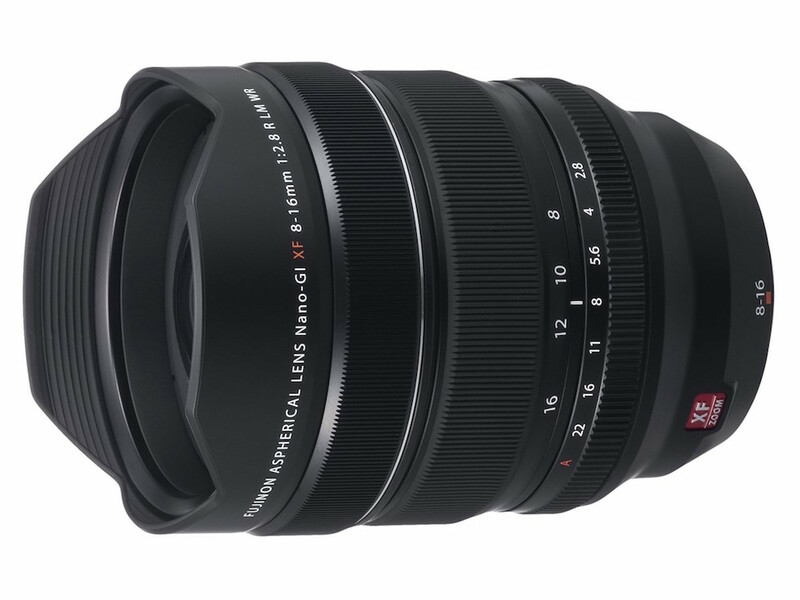 Fujifilm has announced the Fujinon XF 8-16mm f/2.8 R LM WR wide-angle zoom lens. This is company’s widest X-series zoom to date and it will ship in late November. The lens provides an equivalent focal length of 12-24mm and boasts a constant f/2.8 aperture. The XF 8-16mm f/2.8 R LM WR lens is constructed of 20 elements, including four aspherical, three ED and three Super ED, plus a Nano GI coating to reduce ghosting and flare. It has linear motors for responsive and quiet focusing, a nine-blade aperture and a minimum focus distance of 25 cm / 9.8″. The lens is sealed against dust and moisture and operates down to -10°C/+14°F. Featuring a floating lens element that adjusts according to the position of the zoom, the Fujinon XF 8-16mm f/2.8 R LM WR achieves edge-to-edge sharpness, and corrects field curvature that is typically found in ultra-wide angle lenses. The lens barrel is lightweight yet robust, sealed at 11 points, designed to be weather and dust-resistant and capable of operating in temperatures as low as 14°F/-10°C.